The International Transport Workers’ Federation (ITF) informed that crew members aboard a ship at a BHP terminal in Queensland are being neglected and underpaid. 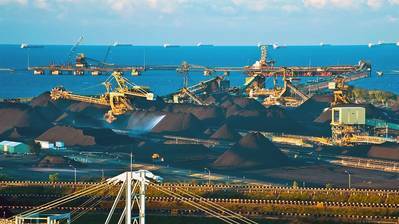 "Crew aboard a ship at a BHP terminal in Queensland claim they are being starved and underpaid, in yet another instance of the coal giant’s veil of secrecy over its operations in Australian waters," said an ITF release. A seafarer aboard an 80,000-tonne bulk carrier, the Villa Deste, contacted ITF pleading for help. The starving crew claims to have no food and no onboard wages, and being fed on a $4 food budget per day. “ITF inspectors along with faith-based welfare providers have rights to access ships clearly defined in the international maritime security code and Australia's national security legislation. BHP claim to have a process for access, but continue to refuse our requests and question our legitimate right of entry,” he said.